Today we have two really interesting deals coming straight from Ebay. The first is on the NX02 sports smartwatch, meanwhile the second one is on a very unique “translation egg” which can be very useful while traveling. Let’s quickly learn what they’re about before heading over to Ebay. Beginning with the NX02 – the perfect companion that will help you manage and control your health and fitness. It tracks calories, walking distance, 24h full time monitoring and so on. 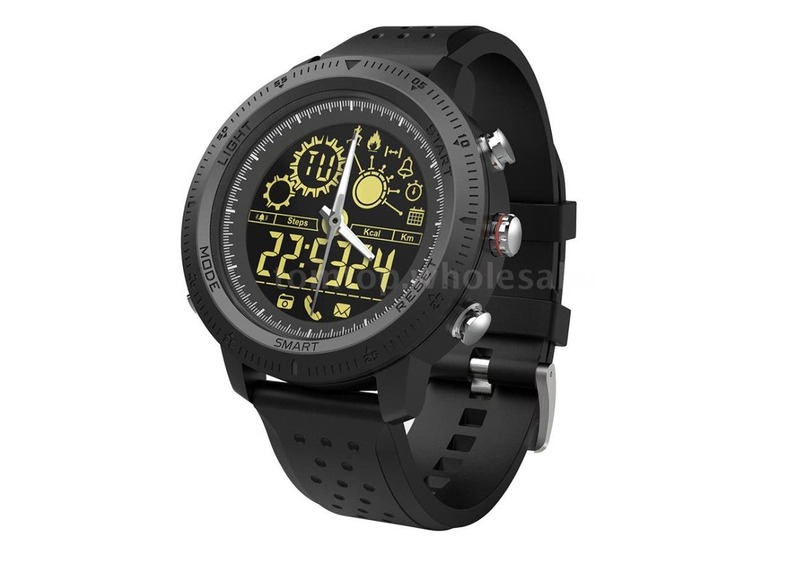 The watch comes with a full view design, which makes it more convenient, fashionable and easy to use. It’s also 5ATM waterproof, so you can wear it while showering, swimming and whatnot. The 24 hours real-time exercise monitoring system, will count energy expenditure, steps, calories burning and is clear at a glance, specially designed for sport enthusiasts. The functions like information and incoming call reminder will make your life more convenient and won’t make you miss any important messages. The NX02 has an autonomy of 18months (under normal use), so you can say goodbye to the trouble of daily charging. You can get the NX02 smartwatch on Ebay for just $20.99, which is $20.99 off (50%) retail price. 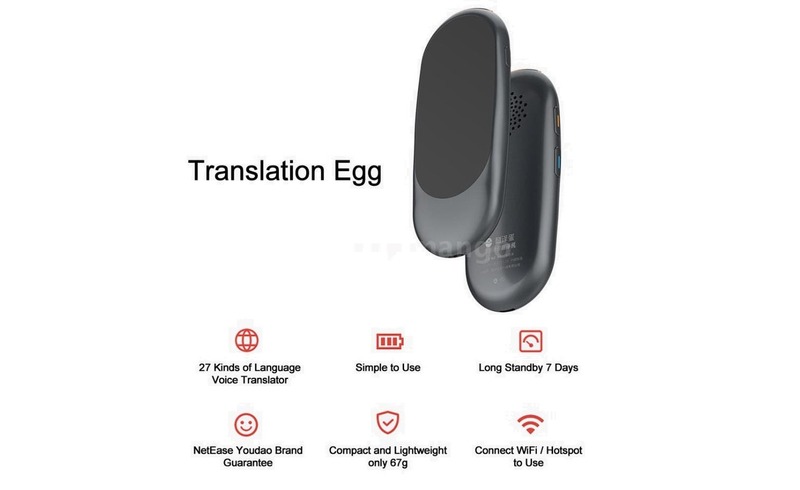 We then have the YOUDAO Translation Egg – a multilingual voice translator, which can quickly and accurately actualize simultaneous interpretation between Chinese and English or other languages. It is portable, easy to use, and highly stable, which is of great help in removing language barriers. This voice translator with a super compact design, weighs only 67g, almost as light as an egg and it comes with a highly sensitive and high-fidelity speaker, so no need to worry about surrounding noises. 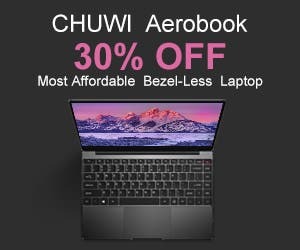 Plus, it has a 2-inch touch screen, which makes it easy to connect Wi-Fi and show the translated text. Finally, the YOUDAO Translation Egg supports 27 languages and has 2 system languages, Chinese and English. It’s suitable for multiple occasions, for example, ordering dishes, shopping, travel, tutoring, business meetings or conferences. The 27 languages are: Chinese, German, Finnish, English, Thai, Dutch, Japanese, Hindi, Czech, Korean, Indonesian, Swedish, Russian, Danish, Greek, French, Polish, Norwegian, Spanish, Portuguese, Hungarian, Italian, Chinese Traditional, Arabic, Slovak, Romanian, Turkish. You can get the YOUDAO Translation Egg for $108.84 which is $13.45 off retail price.